If you want to travel into space today, your options are extremely limited. Jan Millsapps, Pioneering digital filmmaker, early web innovator, versatile and accomplished writer, veteran educator, certified cosmologist, unapologetic feminist. Nobody’s leaving Earth right now, except from the Baikonur Cosmodrome in Kazakhstan, or from the Jiuquan Satellite Launch Center in the Gobi Desert, and the only ones allowed onboard are astronauts, cosmonauts, taikonauts and other state-sponsored and state-trained crew members from spacefaring entities like Canada, Japan and the European Space Agency. Today’s space travelers form an elite coterie — one that will surely expand once America’s commercial rocketeers get their hardware ready. Will commercial spaceships get more of us on board and into space? SpaceX and Boeing soon hope to ferry astronauts back and forth from the International Space Station, but when flights tests with humans aboard begin this year or next, both organizations will employ veteran astronauts chosen from NASA’s nascent commercial astronaut training program. The average Joe or Jane will have to wait for sub-orbital flights from the likes of Blue Origin and Virgin Galactic. Neither is flying human payloads yet, but Blue Origin intends to fly test pilots this year. Virgin Galactic, grounded after a 2014 accident delayed its plans, has not announced when they will resume piloted tests. Space tourism is primed to burgeon within a few years, but the next few decades promise more: commercial space stations that will provide opportunities to live and work in low-Earth orbit for an extended period of time, permanent moon bases offering a chance to travel in cislunar space and visit the lunar surface, and the impressive by-all-counts Interplanetary Transport System, SpaceX’s megarocket that will take us to Mars, hundreds at a time. As we acquire the means to venture beyond sub-orbital quickies, space tourism for those who can afford to pay-to-play in space will give way to commercial spacefaring for a myriad of reasons: to study, to work, to expand one’s knowledge of the universe, or to relocate to another world. 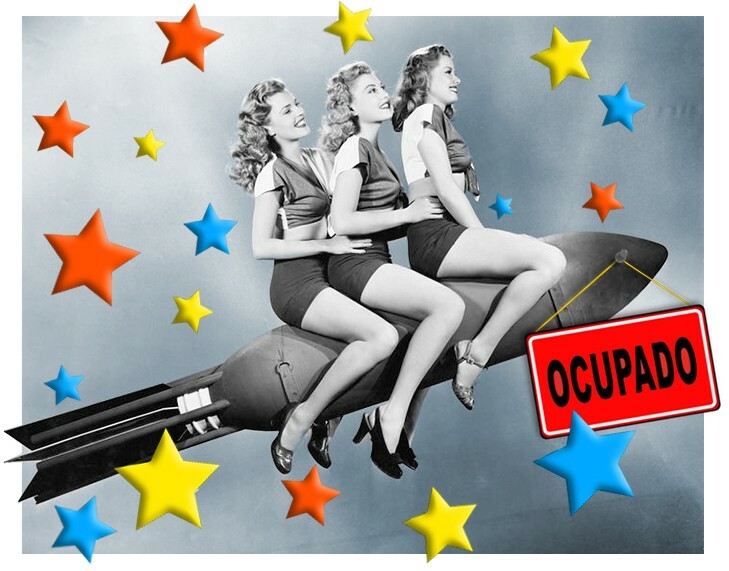 How will deep space rocket seats be filled? Purchasing a ticket — estimates suggest the price of a ticket will be upwards of $200,000 — will be impossible for most of us. Will there be deep space exploration opportunities for the masses — “space for all” — or will future missions and eventual off-Earth settlements represent only the wealthy and elite? The discussion about who can go and what it takes to participate in any kind of space travel is critical to future human deep-space missions from both public and private sectors, because who goes, more importantly, who stays, will determine the culture of activities and eventual settlements on the moon, Mars and elsewhere. What if commercial providers look more closely at humans who have the interest, enthusiasm and qualifications for space travel — but are unable to pay the price of a ticket? Could other criteria get someone on board? What if the future space traveler could fill a need instead of a seat, trading desirable a skillset for a way into space? Many more would be eligible for space exploration. In the first space age, we were in a hurry. For expediency, some say, the first astronauts were chosen from a very small designated pool of military jet pilots — no one else was even considered during the Mercury, Gemini, and Apollo missions. Not until a new, non-pilot role was defined in 1978 — mission specialist — did many more become eligible for NASA astronaut training. The doors to the spaceship edged open a bit more, enabling the first women and the first astronauts of color to squeeze through. The numbers chosen and trained remained small, but opportunities to participate in space exploration became possible for a much more diverse population. As the next human foray into space commences and expands to include commercial as well as government-funded missions, will the snail-slow trend toward enabling more opportunities in space continue? Now, as massive rockets with varied logos roll out onto launch pads for “uncrewed” testing, anticipating a time when humans will climb aboard, is the time to consider the ways future spacefarers will be chosen and prepared for their missions, and the ways today’s rocketeers might think differently about how to fill the seats on their spaceships. It’s nothing less than overhauling, re-defining and expanding the right stuff to create a more inclusive spacefaring future.